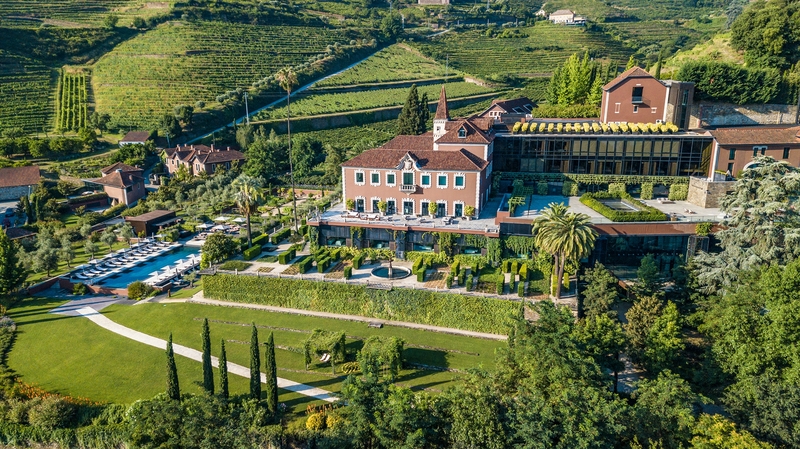 LAMEGO, Portugal – August 22, 2018 – Global luxury travel network Virtuoso announced the winners of its highly anticipated 2018 Best of the Best Awards at the 30th Annual Virtuoso Travel Week Conference, where Six Senses Douro valley was honored as the winner of Sustainable Tourism Leadership. Only ten properties and hoteliers were recognized out of an impressive network portfolio of more than 1,300 hotels, resorts, villas and private island retreats in over 100 countries. The awards were presented August 15 before 1,700 top luxury hospitality executives and world’s-finest travel advisors at the Hotels & Resorts Dinner at Bellagio Resort & Casino in Las Vegas. Virtuoso Hotels & Resorts is renowned as the industry’s longest-running and most prestigious hotel program. Founded in 1992 with only 20 hotels, Virtuoso Hotels & Resorts encompasses more five-star properties than any other program, with quality and diversity serving as the hallmarks. Virtuoso’s 1,000-plus travel agency members and their 17,500 professional travel advisors voted to select the winners in each category, from best family program to sustainable tourism leadership. Editors of VIRTUOSO LIFE, the network’s multi-award-winning magazine, contributed their expert insights to name the initial nominees on which the advisors voted. As a winner, Six Senses Douro Valley will be featured in the publication’s September/October issue, circulated to 200,000 upscale world travelers. “We won a fabulous travel industry award, I could not be prouder! The competition was fierce ... and yet we did it! We were up against a collection of some of the world’s best hotels, famed for their commitment to sustainable tourism. This award follows the Best Achievement in Design award from 2017; the first time any hotel has won back to back awards at the Virtuoso Best of the Best Awards,” enthused Nick Yarnell, general manager of Six Senses Douro Valley. 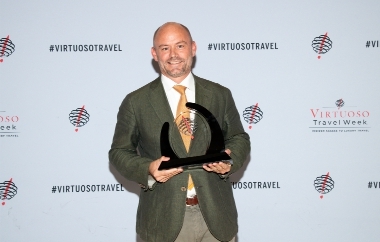 Nicholas Yarnell, general manager of Six Senses Douro Valley receives Virtuoso’s Best Hotel Award. Six Senses Douro Valley’s UNESCO World Heritage setting fronts onto the River Douro as it winds through the world’s oldest demarcated wine region. The estate covers 19 acres with 57 guestrooms, suites and villas. Three restaurants highlight regional produce with a dedicated wine cellar featuring local vintages. Six Senses Spa comprises 10 treatment rooms, indoor and outdoor pools and a gym. It presents specialty and local therapies and multi-day programs. An outdoor yoga pavilion is ideal for individuals and groups. The sun-kissed valley is at the heart of the region that offers activities and excursions by foot, vehicle or water. Six Senses Hotels Resorts Spas operates one hotel, 14 resorts and 30 spas in 20 countries under the brand names Six Senses, Evason and Six Senses Spas. The portfolio will triple over the next five years with resort, hotel and spa openings underway in Austria, Bhutan, Brazil, Cambodia, China, India, Indonesia, Israel, St. Kitts and Nevis, Singapore, Spain, Switzerland, Taiwan, Thailand and the United States. Six Senses properties share a leadership commitment to community, sustainability, wellness and design, infused with a touch of quirkiness. Whether an exquisite island resort, mountain retreat or urban hotel, the enduring purpose is to help people reconnect with themselves, others and the world around them. Six Senses Spas offers a wide range of holistic wellness, rejuvenation and beauty treatments administered under the guidance of expert therapists in all resorts as well as at 16 additional standalone spas. The high-tech and high-touch approach guides guests on their personal path to well-being, taking them as deep as they want to go. Evason follows the Six Senses philosophy of uncompromised responsibility to sustainability and the community. Its two unique resorts provide a strong value focus, while offering a vast array of personal guest experiences that the whole family will love.